"If you want to leave your Task Manager showing on your desktop for a period of time, it can be nice to hide the title bar and gain that space for displaying more information. To do this, simply double-click on the empty area to the right of the tabs. Once it has switched views, you can switch back quickly by double-clicking anywhere on the border." Right-click this entry, then select "stop". Return to your Services window. "Start" from the list. Close the services window and try printing again. "...the Hosts file is like an address book. When you type an address like www.yahoo.com into your browser, the Hosts file is consulted to see if you have the IP address, or "telephone number," for that site. If you do, then your computer will "call it" and the site will open. If not, your computer will ask your ISP's (internet service provider) computer for the phone number before it can "call" that site. Most of the time, you do not have addresses in your "address book," because you have not put any there. Therefore, most of the time your computer asks for the IP address from your ISP to find sites." MVPS.org has a Hosts file that you can download and install. It includes a BAT file that renames the old file before it saves the new one. In most cases a large HOSTS file (over 135 kb) tends to slow down the machine. This only occurs in W2000 and XP. Windows 98 and Windows ME are not affected. Select: Manual, click Apply/OK and restart. You can change the size of your thumbnails by adding a new value to the registry. The range is between 32 and 256. Pick one that fits your prescription. HKEY_CURRENT_USER \ Software \ Microsoft \ Windows \ CurrentVersion \ Explorer. From the Edit menu, point to New, and click DWORD Value. Type in ThumbnailSize and press Enter. Double click the new value. Enter in a hexadecimal value between 32 and 256. Microsoft left out some useful features that you can add back in. Here's one that might be handy. This article describes how to add the Print Directory feature for folders in Microsoft Windows XP and Vista. After you follow the steps that are listed in this article, you can right-click a folder, and then click Print Directory Listing to print a directory listing of the contents of a folder. I use a tool to Print Directory Listings called Print Directory. If you are the only person using the computer, you can have it automatically log you on. "Users must enter a user name and password to use this computer"
Sometimes the performance of Windows XP can be tweaked by adjustinga few settings. 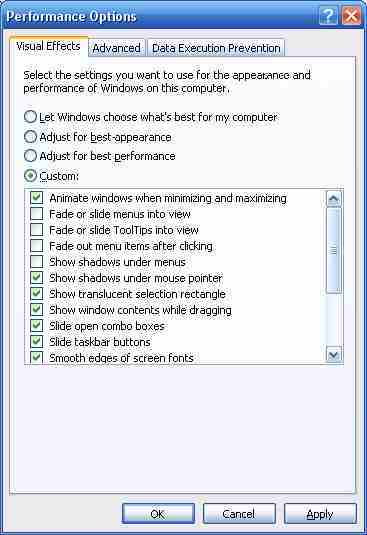 Restore settings to Windows choice. Forgetting your password can be an annoyance or a catastrophe. Here are ways to get back to work. Note If you have not created a password reset disk, and you have also forgotten the password for all user accounts, you cannot log on to your existing Windows installation for security reasons. This information applies to starting Windows XP typically, to safe mode, and to Recovery Console. In this case, you must perform a "clean" installation of Windows XP, re-create all user accounts, and then reinstall all your programs. NASA is wandering around space snapping photos with an advanced form of a Brownie SureShot. Here is a collection of interstellar portraits and space art the can be used as wallpaper to be viewed as you warp thought the Internet. We live in a world based on jargon and acronyms. For a little relief, try this site. Microsoft Office, Microsoft Windows, and Microsoft Windows Mobile-based devices are covered and more. Personalized menus display just your recently used menu items for a few seconds before the entire menu is displayed. If you like this feature and have left it enabled, you can display a full menu by double-clicking the menu name when you open it. 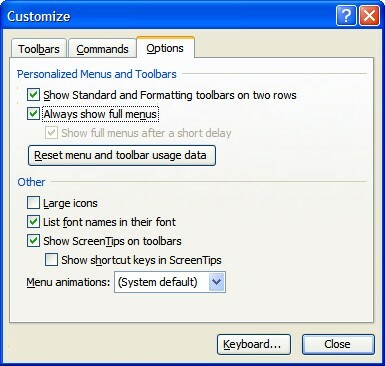 To turn this off, go to Tools>Customize Options and put a check by Always show full menus. followed by whatever feature in the Control Panel you want. takes you to the display settings. Has this happened to you? You dragged the window over to the far right of the screen it has disappears. When the application is started, the window does not open in the main screen but appears minimized on the Taskbar. Even a right click the window to maximize will not open the app. 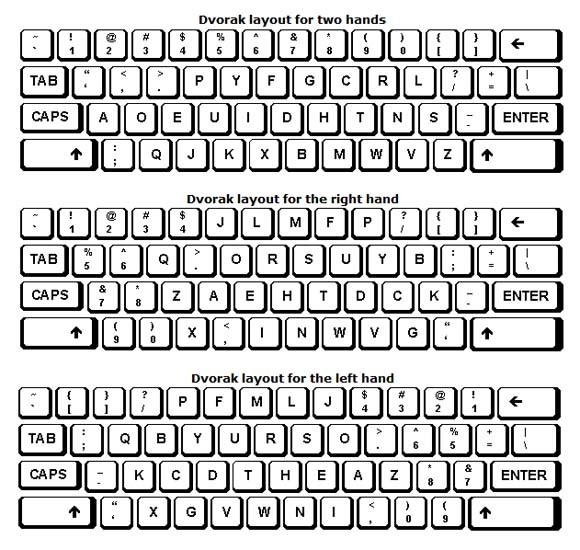 Hold down the Alt key and tap the Tab Key. When you see the desired window, let go of the Alt key. Hit M and then use the arrow keys to get the window to the right spot. Hit Esc when it's near the right spot. In the future the window should work correctly. "AJ Screensaver is a freeware clock screensaver. This screensaver is based on work of others. Several very interesting clock shockwave flash files are packed in this screensaver." 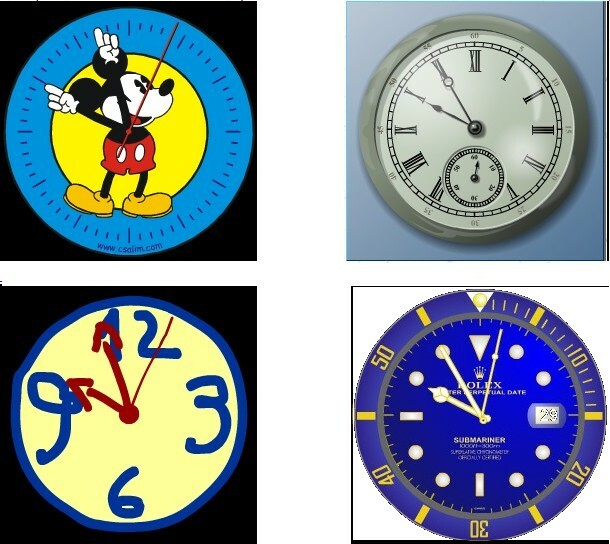 A variety of clocks appear. The web site gives links to the original artists. There are hundreds of freeware substitutes for Windows Notepad, but you can still do some interesting things with the standard version included with Windows. After making an entry, save Notepad. When you next open the file, the previous date and time will be displayed. You can, also insert the date and time by clicking Edit and select Time/Date, or just press F5. The current date and time will automatically be inserted into your file. You can also change the Font on the Format menu and change the page layout on File>Page Setup. Insert the open file's name or (untitled) if the file has no name. Insert the time specified by your computer's clock. Align the header or footer to the left, center, or right. You can use more than one combination in the Header or Footer box. Leaving a space or two between each combination will make the header or footer easier to read. To align text to the left, center, or right, you must first enter &l, &c, or &r in the Header or Footer box, followed by any other combinations you want to use. You can also incorporate text with the combinations. For example, Page &p will print out as Page 1, Page 2, and so on. Jonathan Maltz, Microsoft MVP (Most Valuable Professional) Windows Server, has created a collection of visual, step-by-step guides to Windows Server 2003. "The Microsoft Windows Server 2003 Resource Kit Tools are a set of tools to help administrators streamline management tasks such as troubleshooting operating system issues, managing Active Directory, configuring networking and security features, and automating application deployment:"
Joe Welinske put together a company called WritersUA, (formerly WinWriters). I have attended their sessions in the past and found them to be entertaining and comprehensive. "WritersUA specializes in providing quality training and publications for the community of user assistance professionals. The world of user assistance comprises a variety of techniques and technologies to make working with software a better experience. This includes online Help, wizards, web sites, printed documentation, and improvements to the application user interface." "This article discusses several methods you can use to make Web-based Help systems "smart", by using conditional content to customize the appearance and behavior of your pages to the users' needs. " "With over 960 pages scattered throughout the domain, something is bound to catch your attention." In Microsoft Windows, on mapped drives, the Drive letter may appear last. Type ShowDriveLettersFirst, and then press ENTER. Type 4, and then click OK.
"In Windows Vista, you can also use the ShowDriveLettersFirst and the ToggleCommentPosition registry entries to set the display order. However, if you set the ShowDriveLettersFirst entry only under the HKEY_LOCAL_MACHINE registry key, the setting will not take effect after you change folder options. You must set the ShowDriveLettersFirst entry under both the HKEY_LOCAL_MACHINE registry key and the HKEY_CURRENT_USER registry key." "You can use Command-line reference to familiarize yourself with new and enhanced command-line tools, to configure your command prompt, to learn about the command shell, and to automate command-line tasks by using batch files or scripting tools." "The command shell is a separate software program that provides direct communication between the user and the operating system. The non-graphical command shell user interface provides the environment in which you run character-based applications and utilities. The command shell executes programs and displays their output on the screen by using individual characters similar to the MS-DOS command interpreter Command.com. The Windows XP command shell uses the command interpreter Cmd.exe, which loads applications and directs the flow of information between applications, to translate user input into a form that the operating system understands." There's a lot of stuff going on in the background that you might want to know about. 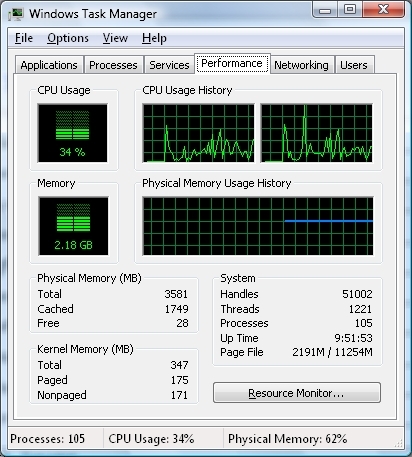 That's where the Task Manager comes in. 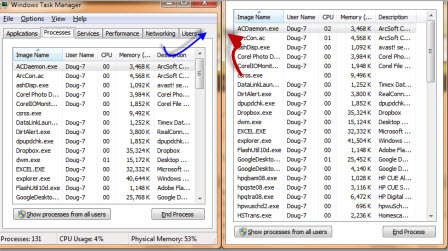 "There are a couple of ways to show the Windows Task Manager: hold down the Ctrl and Alt keys and press the Delete key - Task Manager will then open some versions of Windows, in others you will be presented with a small dialog box that has a button you can click to open the Task Manager; alternatively you can right-click on empty space on the Taskbar and select Task Manager from the menu." XP has an annoying elf that tries to clean your desktop of unused icons. It pops up every two months. Right-click a empty space on your desktop and choose Properties. Remove the check mark next to Run Desktop Cleanup Wizard every 60 days. When you download pictures from your digital camera, they end up with incomprehensible name such as IMG_0284.JPG, or _MG_2640.CR2. Select all those files from Xmas. You can use Ctrl to group them, or use Ctrl+A to select all the files in that folder. Right click the selection and choose Rename. Pick a descriptive title, such as 2007 Xmas Party. All of the selected files will be renamed "2007 Xmas Party.JPGâ€�, "2007 Xmas Party.CR2â€�, "2007 Xmas Party(2).JPGâ€�, "2007 Xmas Party(2).CR2â€�, "2007 Xmas Party(3).JPGâ€� "2007 Xmas Party(3).CR2â€�. The extensions will remain the same. Every once in awhile when the Berners-Lee pipeline clogs up, you are instructed to delete the temporary files that IE saves. You can do it with the Click of an IE Options button. As you see, you could move that location if you wanted to. You have a legal copy. You installed it and activated the application. Now your machine blew up and you have to install it again. Where's the Product key? Probably gone sometime in the past 10 years. "The Magical Jelly Bean Keyfinder is a freeware utility that retrieves your Product Key (cd key) used to install windows from your registry. It has the options to copy the key to clipboard, save it to a text file, or print it for safekeeping. It works on Windows 95, 98, ME, 2000, XP, Server 2003, Windows Vista, Office XP, Office 2003, and Office 2007. "Beginning in 2007, daylight saving time (DST) will be extended in the United States. DST will start on March 11, 2007, which is three weeks earlier than usual, and it will end on November 4, 2007, which is one week later than usual .This results in a new DST period that is four weeks longer than in previous years. Unless certain updates are applied to your computer, the time zone settings for your computer's system clock may be incorrect during this four-week period. In particular, you must make sure that both your Windows operating system and your calendar programs are updated. Home users: If you use Windows Vista or have Automatic Updates turned on, you may not be affected by the change in daylight saving time. If you want to confirm, follow the steps in the Daylight Saving Time Update Guide. IT professionals and IT managers: The Daylight Saving Time Update Guide will lead you to KB articles and downloads"
Things I've forgotten or never knew. 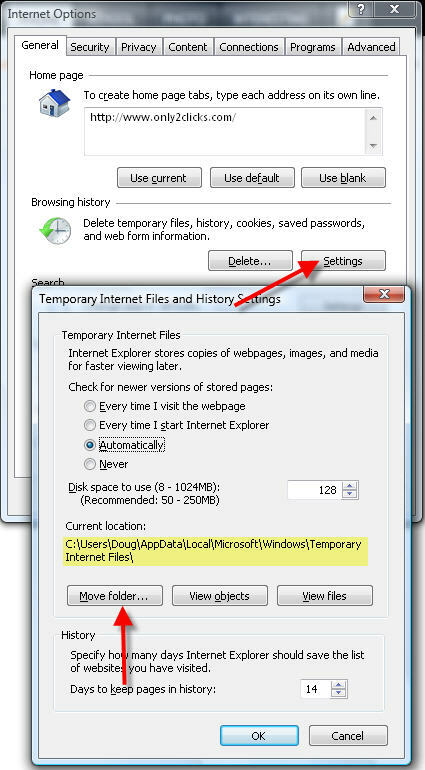 Double click on the date and time on the taskbar to open the time applet. Click on the Internet Time tab. Choose a time server, and click on the Update Now button. As long as you are connected to the internet, Windows will attempt to synchronize the time once per week. You can type the name of a time server if you want to use one that is not listed. Only time servers that use the Simple Network Time Protocol (SNTP) will work. Inserting an Internet address that uses the Hypertext Transfer Protocol (HTTP) will not work. 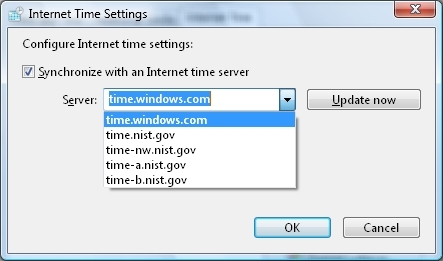 The time server time.windows.com is operated by Microsoft. The time server time.nist.gov is operated by the U.S. government. Other time servers provided by your computer's manufacturer might also be listed. You can still scan images into Microsoft Publisher and a few other programs, but not the big three. "Yes, unfortunately, the Insert from Scanner and Camera feature was removed in Office 2007. This was a difficult call, but I think for the best of the product overall. The feature supported a limited number of scanners and the camera support had not been updated for some time. We came to the conclusion that most users would be better off using the software that came with their camera, scanner or even built into Windows, to get their images from their device, to the file system, and then use the Insert Picture command to get them into Office. The downside, is that for some users, this feature did work and so will be missed." "The From Scanner or Camera option for adding pictures to a presentation, photo album, or workbook is not available in Microsoft Office PowerPoint 2007 or Microsoft Office Excel 2007. Instead, you can add pictures from your camera or scanner by downloading the pictures to your computer first, and then copying them from your computer into PowerPoint or Excel." You could also use the Microsoft Document Imaging/Scanning application. 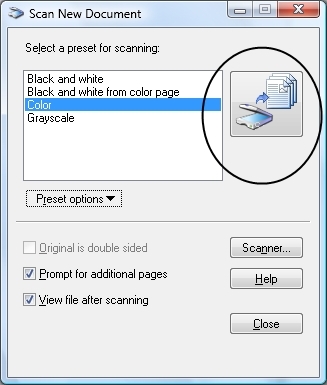 BTW, when the article calls for clicking on the Scan button, it's actually the picture of a scanner.